Sean Szymkowski September 13, 2017 Comment Now! 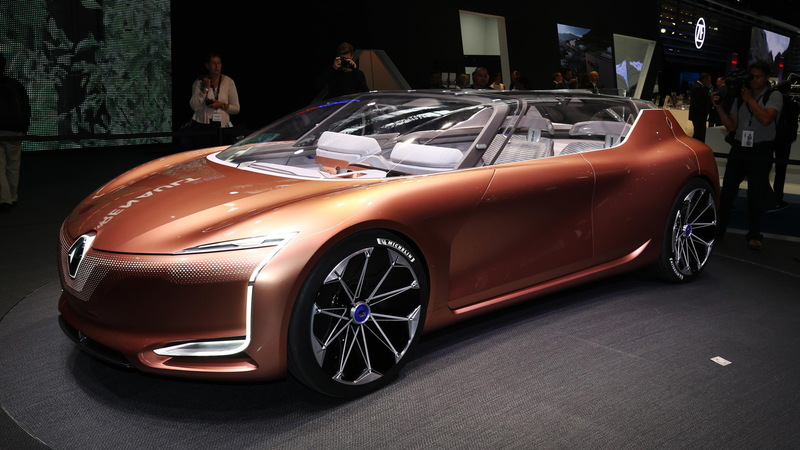 Renault has used the 2017 Frankfurt Motor Show to reveal what it believes transportation in the year 2030 might look like. Spoiler alert: the car isn't just a means of transportation, but an extension of the home. It's called the Renault Symbioz, and it's chock full of futuristic concepts and ideas, but we'll start with the big picture. As mentioned, the Renault Symbioz isn't just a car. 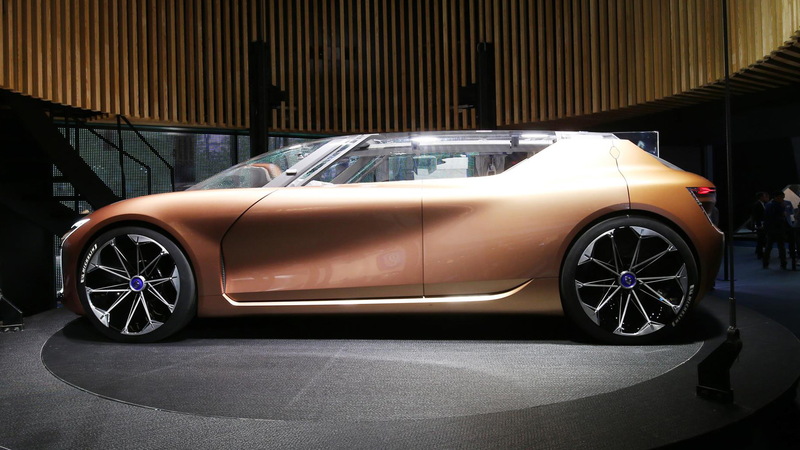 The French automaker envisions the Symbioz as part of the owner's home, where it can double as a bedroom, activity space, or even a living room. Renault says the interior design takes inspiration from living room designs. 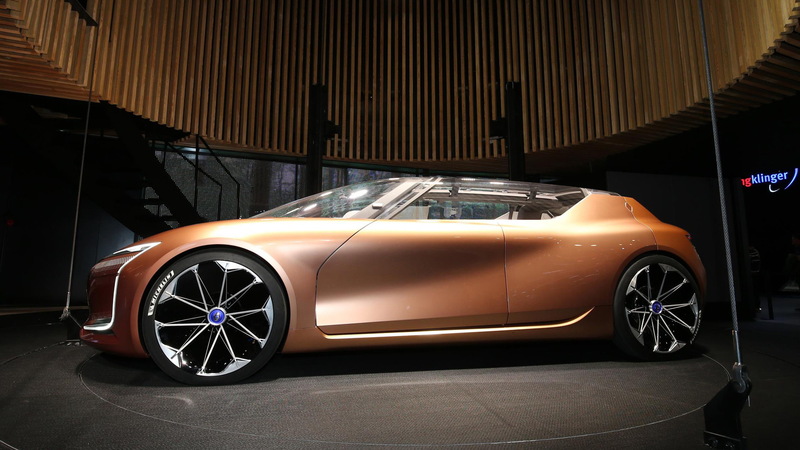 To accomplish this, Renault showed a conceptual home along with the Symbioz concept. The house is able to lift and place the car in various places on the ground floor or upper levels to make the Symbioz multifunctional. It also boasts an integrated smart grid to optimize energy consumption between the home and the all-electric Symbioz during charge times. Now, moving onto the car portion of the concept. 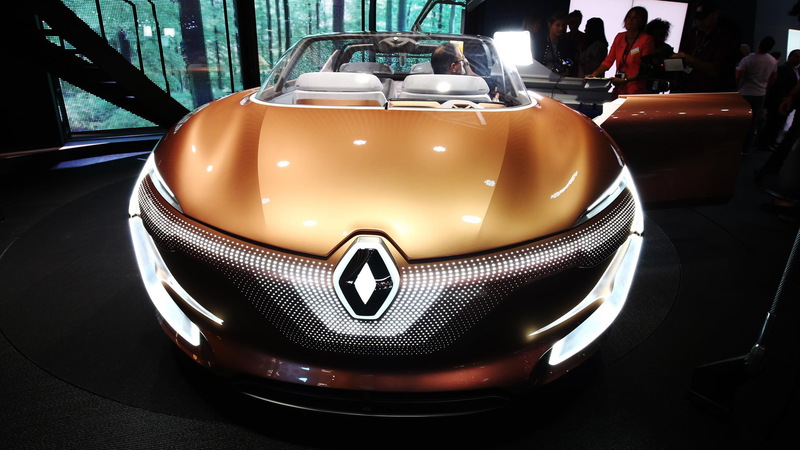 Renault designed and developed the Symbioz concept as a fully self-driving car. The 15.0-foot long car boasts a handful of driving modes that adapt the cabin to what the driver sees fit. If the "traveller," as Renault calls occupants, wants to drive the car, a normal steering wheel and other operational controls are present. However, an "AD" mode pushes the steering wheel and dashboard back and allows occupants to do other things. Furthermore, a "Relax" layout provides a zero-gravity position and lets the occupant experience a host of virtual reality experiences while the Symbioz shuttles he or she to a destination. Cheeky Renault has also included a "French Kiss" layout to move the driver closer to the front passenger. The rear of the car can also be positioned for passengers to sit across from one another, or limousine style with bench seating. The Renault Symbioz concept is electric and features 670 horsepower and 487 pound-feet of torque from its 72-kilowatt battery pack. Renault says 310 miles of range is possible. In addition, 80 percent of the battery capacity can be charged in 20 minutes. 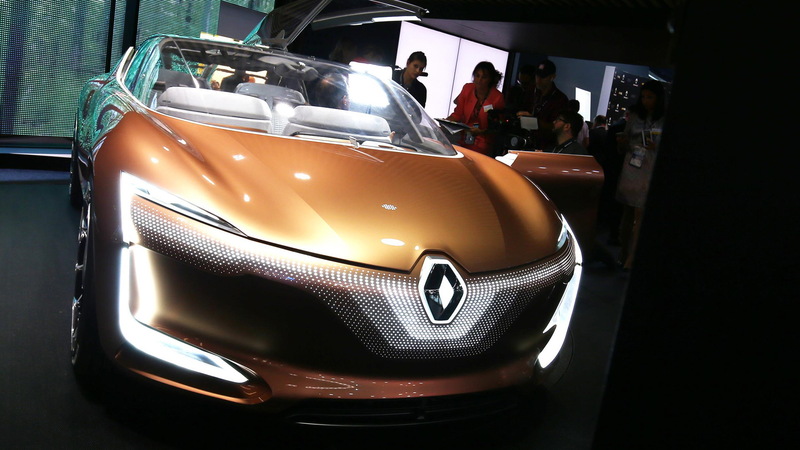 While a lot of this sounds incredibly future forward, Renault also showed a Symbioz demo car. The demo car, which houses the same specs from its electric powertrain, previews a production vehicle Renault plans to bring to market around 2023. The production model will supposedly boast some self-driving capability and feature an electric powertrain, with Renault working closely with several outside firms to make the car a reality as soon as possible. For more from Frankfurt, head to our dedicated hub.